DPC was established to assist in military inventory liquidation and provide military spares support worldwide. Our exclusive inventory, procurement database, high quality manufacturing partners and experienced staff, ranks us among the industries leading spare parts suppliers. 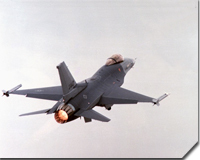 We specialize in military aircraft including but not limited to F-16, F-4, F-5, and F-111. We commit to making the aircraft spares world hassle free for our customers.